We are excited to announce the date for 2018, and the process for getting your hands on some tickets. Hyperborea: Azimuth will be taking place May 17th-21st (an extra day!!) at the lovely Freedom Fields located near the township of Tamworth, Ontario. For 2018, tickets are going to cost an even $100. 2017 was an amazing year which saw Hyperborea sell to capacity, to ensure equal chances for tickets in 2018 there is a registration and lottery system in place. You will be able to register for tickets from March 1st-14th, link to this will be posted to the website, FB group page, and mailing list on March 1st. On March 15th, a lottery will be run and those selected receive invitations to purchase a ticket. Also because Volunteers are awesome, if you volunteered 8+ hours at Hyperborea last year and are in good standing, you get the opportunity to partake in the Volunteer Directed sale. This runs March 2nd till the 11th, available via an emailed invitation. If you do not receive the invitation and believe you qualify for the Volunteer Directed Sale, there will be a form that you can fill out to inquire about it. Art Grant submissions are now open! If you have a revolutionary artistic vision, captivating experience, or playful idea for Hyperborea, we want to empower its creation. The deadline for ALL of these submissions has been extended to 11:59 pm March 11th! We are excited to offer the following four grant options to help realize your artistic visions: Small and Large Art Grants, Refurb Grants and Micro Grants. The Small and Large Art Grants are for new art projects being made for Hyperborea. In particular, Large Art Grants are for projects with a focus on interactivity and involved experiences. Refurb Grants are available for improvements or additions to pre-existing projects. Last but not-even-a-little-bit least, Micro Grants are available with the sole purpose of creating whimsy. Do whatever you want! Costumes, performances, anything goes – just make it unique and playful! As the Effigy “Le soleil de minuit” is the heart of Hyperborea, the Temple is its counterpoint and companion. Catharsis, Introspection, Remembrance – our Temple is a structure for ritualized connection and transformation. We are pleased to announce that our 2018 Temple Grant offering has increased to $1000, and are eagerly anticipating the designs made possible with this additional funding. Let’s build upon our history and make this year’s Temple something special. We’re also looking for numerous Co-Leads and Shadows in other departments too. If you’re interested in getting involved through any of these roles, please fill out our Leadership Interest Form or email lovebeard@tohyperborea.ca. We are excited to announce the theme and effigy for this years journey to the land of Hyperborea, land beyond the North wind. By way of Montreal (land north even to us), the “Les mains dans le feu” (hands in the fire) collective brings us our effigy “Le soleil de minuit” (The Midnight Sun). In this light, Hyperborea’s 2018 theme will be ‘Azimuth’. Azimuth is the angle that travelers use to align themselves with the true north. For us Hyperboreans, the Azimuth represents our compass. It guides us when we are lost; it orients us when we cannot see the path. It is the tangent we follow as we journey across horizons, beneath arcs sketched by morning stars across the northern sky – until finally, we arrive home, are welcomed, and can congregate together under the glow of our midnight sun. 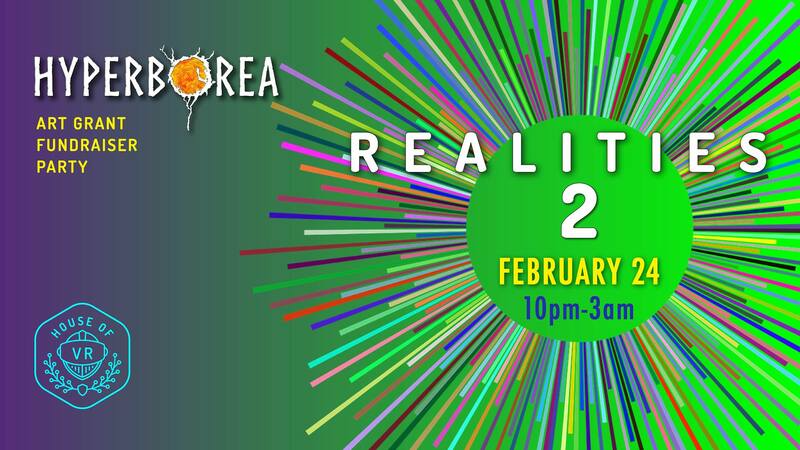 Bring your fabulous selves to House of VR for another Realities Art Grant Fundraiser for Hyperborea! Based off the massive success of raising over $2,700 in the first Realities party, we’re looking to surpass $5,000 total for funds raised that directly support art grants for Hyperborea 2018! Save yourself $5 and scoop yours up now! Realities, fantasy, utopias, dystopias, portals, dreams, travel, nightmares, other-worldly, future, past, make-believe, planetary, cosmic, etc. The inaugural Hyperborea 2017 was amazing in every way…except…WE WANT MORE ART! The Toronto Burner community showed itself that we can create our own reality, so we want to make Hyperborea even better next year. The profits from this event will go towards the Hyperborea Art Grant Fund under the newly-formed Hyperborea Experiential Arts Team (HEAT) Non-Profit Corporation. 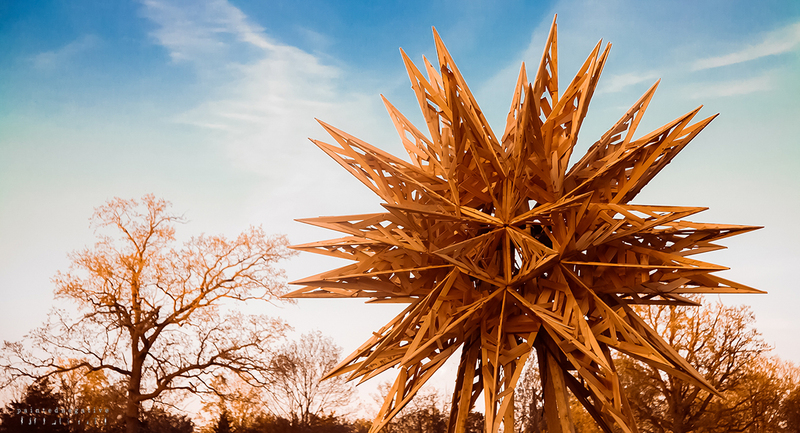 Hyperborea is a Central Canadian Burning Man Regional Event. We strive to conduct this event in accordance with the 10 Principles. Prepare yourselves for our annual quest to the fabled lands of Hyperborea – a gathering focused on community, art and memorable experiences.